Please note that there are parking restrictions outside our site during peak periods, although there is ample parking provision opposite the site and on Whitehill Street slightly further up. Our society has poultry plots as well as traditional allotment plots, although there is a waiting list, if you are not on it then you won’t get one! The plots vary in size, a standard size full plot is around 300 square yards and a half plot size is just that! So if you are interested in ‘growing your own’ please get in touch to arrange a visit. Facilities on site include a well used ‘brew hut’, a toilet and good access roadway all round the site. There is no parking on site – it’s a ‘come-on, drop off, drive off’ approach so that access is always maintained. We have a large developed community area with a class room, ponds (great for pond dipping!) and raised decking / seating area, along with our own apiary for bee keeping. So if you are interested, phone Sue or come down at weekends (Sundays is the best bet) to see if anyone can let you on and meet a committee member to go on the waiting list. Whitehill allotments are a largish site located adjacent Whitehil Primary School in Heaton Norris (although its always referred to as Reddish by the locals!). 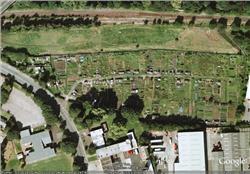 We have a great atmosphere and sometimes plots to let! If you are interested we will put our contact details on this site soon – so keep coming back. So if you are interested keep looking or come down at weekends (Sundays being the best bet) to see if anyone can let you on and meet a committee member to discuss going on the waiting list. Hello looking for a plot so i can start growing my own veg an friut.